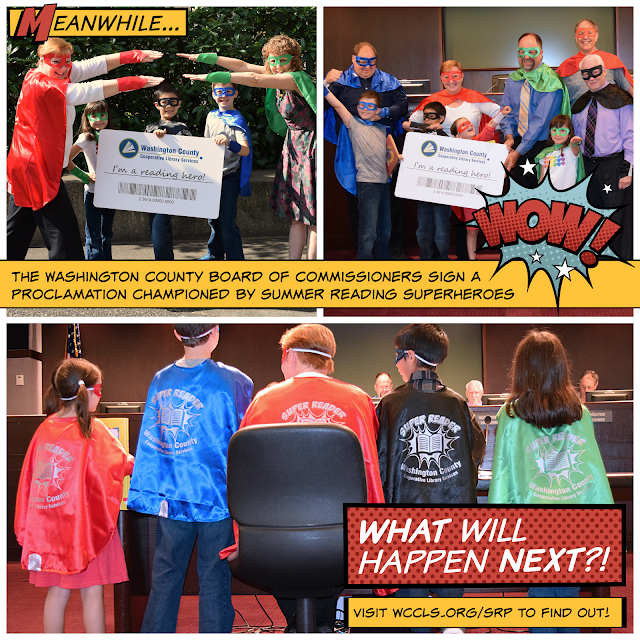 The Washington County Board of Commissioners signed a proclamation this week declaring the importance of Summer Reading at WCCLS libraries. Super Reader and WCCLS director Eva Calcagno championed the proclamation, along with Super Readers from the County. The Board of Commissioners joined the fun by donning Super Reader gear and encouraging all residents to sign up at their libraries! BE IT FURTHER RESOLVED, that a County of Super Readers is a County that is informed, engaged, and better prepared to face the challenges of the future. Summer Reading begins at WCCLS libraries!